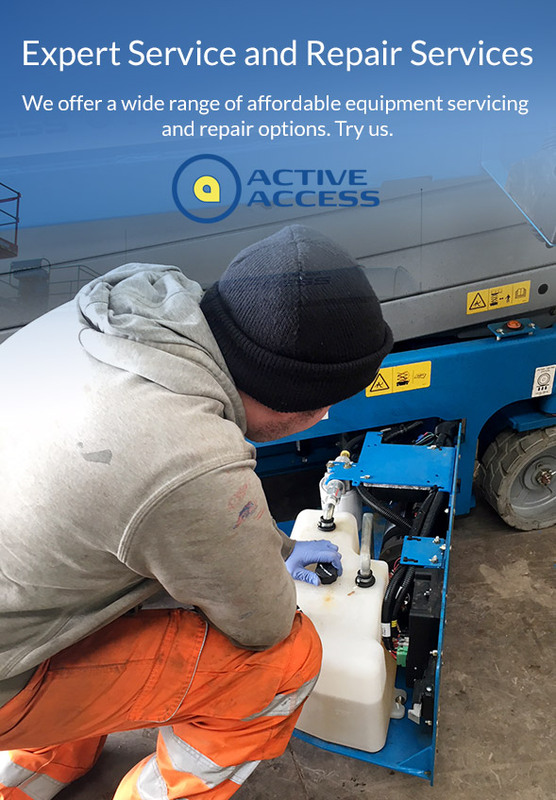 Active Access offers a wide range of cost-effective Equipment Service and Repair options that not only keeps your various equipment platforms legal but also running with maximum reliability. We understand that keeping your machines well maintained and in full working order is critical to operational uptime, so let Active Access save you both time and money with our tailored service and repair solutions. It is a legal requirement, under the Lifting Operation and Lifting Equipment Regulations (LOLER) that your platform be given a thorough examination and certificate, every six months, by an approved and qualified engineer. Our engineers are all fully trained and CAP approved, having been independently assessed. Active Access have numerous service contracts in place on customer’s own platforms. Why not add to your peace of mind and benefit from this premium, great value service. • Fixed service and LOLER rates. E-mail your service enquiry to service@activeaccess.co.uk or call us on 01698 281 190 to discuss your individual requirements.